We've already heard some color rumors for at least two of the iPhone models that are on the way, but the latest rumor relates to the cheapest of the three expected models. 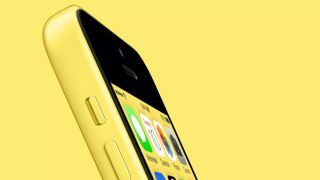 The 6.1-inch LCD iPhone may come in flash yellow and taupe alongside some previously leaked colors, according to a new report from Macotakara. Trusted analyst Ming-Chi Kuo has previously said the phone will come in blue, orange, red, grey and white. This new report could see two extra colors added to the line-up, but there may not be a red one. It seems the new report reckons Apple may embrace taupe instead of the now staple red shade. If Apple opts for this amount of variation, it will be the largest color range we've seen since the iPhone 5C back in 2013, which came in a variety of bold shades including some in the list above. That only had five color options though, while this handset is now rumored to land in up to seven. There's no new word on the color choices for the more expensive iPhone X2 though, with Kuo's previous report of it coming in white, black and gold being all we've heard so far. We don't yet know exactly when Apple will unveil its next range of devices, but it's expected we'll see the new phones announced at an event at some point in September.